Safety is a core value at Didion and we are committed to producing quality, safe products for our customers. 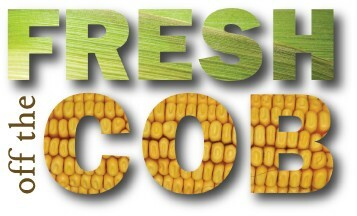 An effective food safety system is a top priority, but how do we create a good basis for it? We do this by having certain rules and expectations in place that employees and visitors must follow whenever they are in our facility. These guidelines are known as Good Manufacturing Practices or GMP’s. GMP’s are practices defined by the FDA that set guidelines for different manufacturing workplaces. For food manufacturers like Didion, these guidelines provide minimum requirements we must meet to ensure our products are safe and of high quality. These guidelines don’t necessarily tell a company how to manufacture, but rather list factors that need to be monitored during production. Even though GMP’s are regulated by the FDA, they were established to be flexible so that each manufacturer can decide individually how to implement the best practices for them. This means that Didion can add to the list of already established GMP’s. In fact – the Didion list of GMPs includes 18 guidelines! Many of these rules regard aspects such as: proper attire, hair/facial hair restraint, food/drink consumption, sanitary issues etc. GMP’s are a very important part of Didion’s safety culture because they are an integral part of a Hazard Analysis and Critical Control Points (HACCP) prerequisite program, which is necessary to build a complete food safety program. Having a good basis by practicing GMP’s allows Didion to become certified to the internationally recognized food safety standard of FSSC 22000, one more step in the food safety management program. One of the reasons Didion has been able to achieve such high food safety ratings is because we have a knowledgeable food safety leader and team established to help enforce these guidelines. This team is cross-functional and monitors everything from corn procurement to shipping! 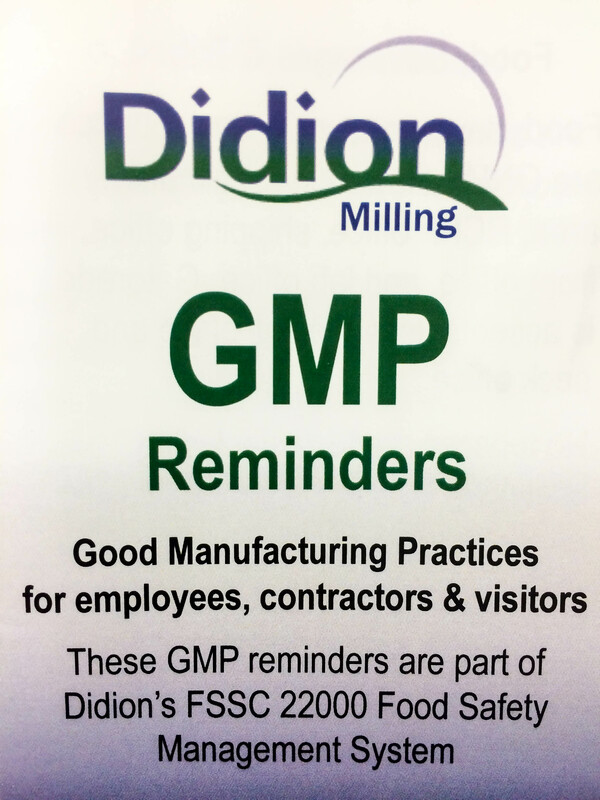 Along with Didion employees following these guidelines, we also make sure that we check visitors at the mill and have them read and sign off on GMP’s. Ultimately, it is Didion’s responsibility to practice good food safety so that we produce the safest and highest quality products for our customers. Having effective GMP’s in place helps us accomplish this important task! We’ve Achieved a Food Safety System Certification (FSSC) 22000! Food Safety System Certification (FSSC) 22000 is a comprehensive food safety management system. It incorporates the ideals of continuous improvement and prevention to develop a proactive and effective food safety plan. FSSC 22000 is one of four Global Food Safety Initiative (GFSI) recognized food safety schemes and is the only ISO-based system. FSSC 22000 was selected of the four acceptable GFSI schemes due to Didion’s short-term plans to achieve certification in other ISO-based systems. FSSC 22000 encompasses two standards, ISO 22000:2005 (Management system) and ISO/TS 22002-1:2009 (Prerequisite programs), but in itself really is a three-part system. HACCP is a systematic, preventative approach to food safety that uses the idea of hazard analysis to identify physical, chemical and biological hazards/risks associated with a food manufacturing process. Hazards identified in the HACCP plan are assessed for severity and likelihood to determine the risk associated. Risk is then mitigated through the incorporation of control programs (PRPs), which when monitored and validated for effectiveness, ensure product safety to the greatest possible efficacy. Prerequisite programs (PRPs) are a series of in-depth programs that provide the foundation for the food safety program and are standard practices necessary to ensure safe products. Prerequisite programs provide the groundwork for the entire system and are also the real driving force behind the food safety program based upon the HACCP plan. The management system ensures the necessary processes, resources, approach and culture are in place to support the food safety system.